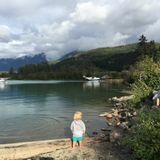 CanadianNanny.ca is the fastest and easiest way to find a live-in nanny job or au-pair job in Whistler, British Columbia. We have more Whistler live-in nanny jobs than any other website in Canada. We also provide access to job descriptions which included details about the family, living arrangements and child care needs.